One day you serve a dish to your little one that is received with so much excitement that you begin to think that you have figured out that one dish that your baby is sure to like. And then, just another day, when you serve the same dish the baby completely turns away….if you are lucky he/she may have a bite or two but if you aren’t so lucky, the little one may refuse to even look at it….and there you are….. heartbroken…..wondering what else to cook? I am sure you can relate …. My endeavor to impress the ‘little connoisseur’ keeps me on toes to keep trying and adapting various dishes to suit her taste. 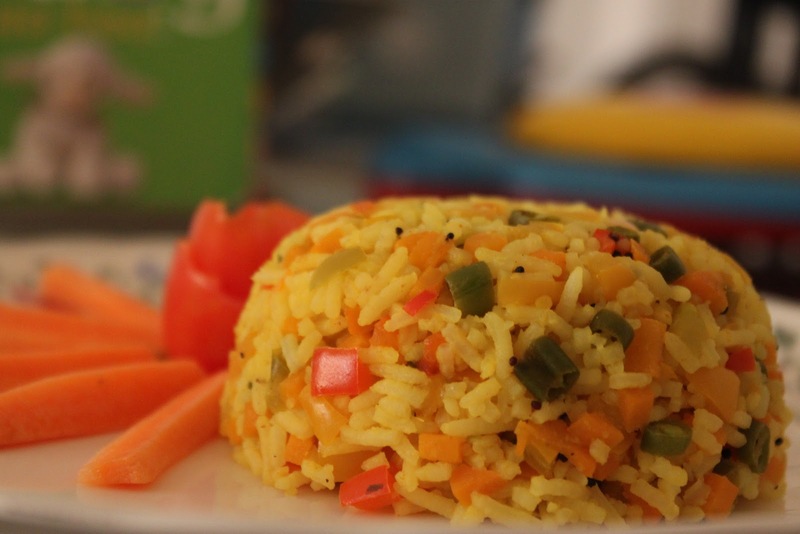 This recipe is an interesting variant of the lemon rice…try and see if you’re lucky to get your little one to eat a few spoons!